We’d love your help. Let us know what’s wrong with this preview of Unfathomable Love by Linda Diane Wattley. When Leona graduated from high school, she joined the United States Army. It was then she learned there was plenty of love to go around; after all, the Army is one place men outnumbered the women. Her only dilemma was figuring out which love was the best love for her to embrace. Hearing the words, ‘I love you,’ heals our souls. The ironic thing about it, very seldom do two people share the same meaning for love. This is usually fine until someone else’s meaning of love changes our lives forever. In “Charge of an Angel,” Leona Tillard asked for your help as she survived her daily childhood nightmare. Today, she is asking you to help her to choose the right man to love forever. Do I love the soldiers or do I love my big brother’s best friend? Sounds like an easy task, doesn’t it? Trust me, you too just might choose the wrong one. Let’s see if we can save Leona once again. To ask other readers questions about Unfathomable Love, please sign up. Those of us who read Linda’s book ‘Charge Of An Angel’ have been waiting to read ‘Unfathomable Love’. Main character Leona Tillard is now a young adult and on a journey to wholeness in her life. How does love factor into this journey and where does God fit into her life? Meet the people in Leona’s young adult life including some from her childhood. You will be privy to letters and a narrative that might bring up memories of your own. I quote not to spoil the story, but to enlighten you so you will Those of us who read Linda’s book ‘Charge Of An Angel’ have been waiting to read ‘Unfathomable Love’. Main character Leona Tillard is now a young adult and on a journey to wholeness in her life. How does love factor into this journey and where does God fit into her life? I quote not to spoil the story, but to enlighten you so you will want to read further. Even the description of Leona’s “Grandma Tillard” might carry you back to your own childhood when a grandmother’s presence and warm embrace brought a sense of belonging, even when you didn’t know how lost you were. 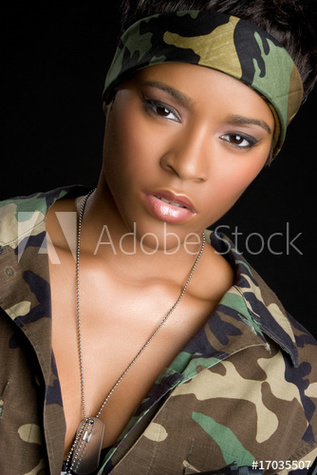 Follow Leona as she graduates high school and joins the Army primarily as an escape. The green uniforms and rigid routines brought some level of isolation, but ultimately a new world emerged. This new world is filled with attractive, buff, single men with desires. The problem, how is she to find the right man and will he embrace love the same way she does? When you read, allow Leona’s story to waken within your sub-conscious to things that might need a healing touch. Healing is a journey that takes a lifetime to achieve. I, (Theodocia McLean) endorse ‘Unfathomable Love’ (Love and Redemption Series Book 2). I encourage you to read ‘Charge Of An Angel’ (Love and Redemption Series-Part 1) by Linda Diane Wattley. I purchased this book from a Kindle and completed this review on August 29, 2017. ‘Soldier With A Backpack: Living and Dying Simultaneously’ by Linda Diane Wattley is also a great read regarding Post-traumatic Stress Disorder. Although I normally wouldn't read christian or other religious novels, I must say that I enjoyed the book a lot. The story is about Leona, a young woman who had been abused during childhood baby her stepfather and whose life is an eternal struggle to make peace with her past and find love and a reason to live. This seems to be accomplished as she enlists in the army, where she meets her first true love, Doug. But things don't turn out as expected, so she has to keep struggling to put life togeth Although I normally wouldn't read christian or other religious novels, I must say that I enjoyed the book a lot. The story is about Leona, a young woman who had been abused during childhood baby her stepfather and whose life is an eternal struggle to make peace with her past and find love and a reason to live. This seems to be accomplished as she enlists in the army, where she meets her first true love, Doug. But things don't turn out as expected, so she has to keep struggling to put life together and at the same time to help outdone, including the ones who hurt her. "Before we know who we are, we must understand what we are not." Love comes to Leona's life, teaching her so many life lessons-and enlightening the reader as well. A brilliant series, I loved the continuation of Leona's journey, a women whom I got to know well from the first book, from being a young girl to now an adult. I felt her struggles, hopes, loses, pain, and triumphs as I read. Relatable, genuine, and engaging-a book that takes you on a meaningful, riveting journey with its A Must Read! I knew I had to read “Unfathomable Love” after reading “Charge of an Angel” the first book in the Love and Redemption Series. I wanted to believe that Leona could put the past behind her and be triumphant over those who hurt her. I am looking forward to reading the next book in the series to learn more about Leona’s life. LINDA DIANE WATTLEY is a veteran of the United States Army. She is an advocate for sufferers of PTSD, Post-Traumatic Stress Disorder and for those who have suffered from all forms of victimization to include domestic violence and sexual abuse. Her message is all about getting to the best truths that allows victims to be set free. Linda accomplishes this by sharing her gifts and talents that God ga LINDA DIANE WATTLEY is a veteran of the United States Army. She is an advocate for sufferers of PTSD, Post-Traumatic Stress Disorder and for those who have suffered from all forms of victimization to include domestic violence and sexual abuse. Her message is all about getting to the best truths that allows victims to be set free. Linda accomplishes this by sharing her gifts and talents that God gave her. One being an author of several books that lead readers to go deep within themselves to find their own inner strength and voice.